Section 1. 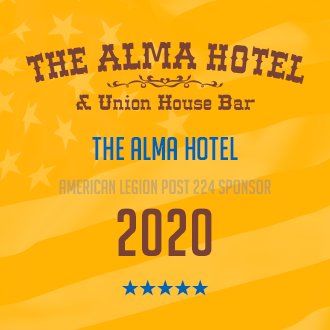 The Post existing under these By-Laws is to be known as Alma American Legion Post 224, The American Legion, Department of Wisconsin. Section 2. The object of the Post are as set forth in the Constitution. Section 2. The executive Committee shall consist of 7 members, in addition to the 9 officers of the Post. Tbree of the 7 members shall be the last 3 past commanders. Each of these members shall serve a 3 year term, shall be appointed annually and their terms shall be staggered. The Post Commander and the 2 Post Vice Commanders shall be elected at the May meeting. The Adjutant, Finance Officer, Chaplain and Sergeants-at-Arms shall be appointed by the newly elected Post commander. All newly elected officers and Committeemen shall be installed at the June meeting. All elections of officers and executive committeemen shall be by ballot and candidate or candidates receiving the highest number of votes shall be elected to the respective office or offices for which they are candidates. Section 3. All vacancies existing in the Executive Committee, or in any office of the Post from any cause other than the expiration of the term, shall be filled by a majority vote of the remaining member of the committee, and a person so appointed shall hold office for the unexpired term of the member of the committee or officer they succeeded. A vacancy shall exist when a member or officer is absent from the Post for a continuous period considered detrimental to the interest of the Post by the Executive Committee. Section 1. The Post Executive Committee shall meet for organization and such other business as may come before it at the call of the Post commander within 10 days after the installation of the new officers. Thereafter the Post Executive Committee shall meet at the call of the commander at least every month and as often as said commander may deem necessary. The commander shall call a meeting of the Post Executive Committee upon the joint written request of three or more members of said Post Executive Committee. Five (5) members of the committee shall constitute a quorum thereof. Section 2. The Post Executive Committee shall hire such employees as may be necessary; shall authorize and approve all expenditures; shall require adequate bonds from all persons having the custody of Post funds; shall hear the report of Post committee chairs; and generally, shall have charge of and be responsible for the management of the affairs of this Post. Section 1. Duties of Post Commander. “ It shall be the duty of the Post commander to preside at all meetings of the Post and to have general supervision over the business and affairs of the Post, and such officer shall be the chief executive officer of the Post. The Commander shall approve all orders directing the disbursement of funds and shall make an annual report covering the business of the Post for the year, and recommendations for the ensuing year, which shall be read at the annual May meeting and a copy thereof immediately forwarded to the Department adjutant. The Commander shall perform such other duties as directed by the Post. The commander shall appoint 3 members of the Post to conduct an annual financial audit. Such audit to be conducted by July 31 of each year and report given at the August meeting. Section 2. Duties of 1st Vice-Commander. The 1st vice-commander shall assume and discharge the duties of the office of commander in the absence or disability of, or when called upon by the Post commander. The 1st vice-commander also assumes the Chairmanship of the Membership Committee , render reports of membership annually or when called upon at a meeting , and performs such other duties as directed by the Executive Committee. Section 3. Duties of 2nd Vice-Commander. 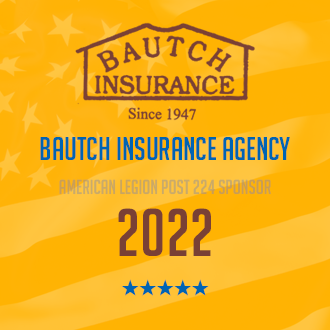 The 2nd vice-commander assumes the Chairmanship of the Building Committee , overseeing the maintenance and care of the Legion building and property, and the ordering of supplies and material to meet these needs, and performs such other duties as directed by the Executive Committee. Section 4. Duties of Post adjutant. The adjutant shall have charge of and keep a full and correct record of all proceedings of all meetings , keep such records as the Department and National Organizations may require , and under the direction of the commander handle all correspondence of the Post. Section 5. Duties of the finance officer . The finance officer of the Post shall have charge of all finances and see that they are safely deposited in a local bank or banks and shall report once a month to the Executive Committee the condition of the finances of the Post, with such recommendations as may deem expedient or necessary for raising funds with which to carry on the activities of the Post. The Finance Officer shall sign all checks disbursing the monies of the Post and shall furnish such surety bonds in such sum as shall be fixed by the Post Executive Committee. Section 6. Duties of Post historian. The Post historian shall be charged with the individual records and incidents of the Post and Post members, and shall perform such other duties as may properly pertain to the office as may be determined by the Post or the Executive Committee. Section 7. Duties of Post chaplain. The Post chaplain shall be charged with the spiritual Welfare of the Post comrade s and will offer divine but nonsectarian service in the event of dedication s, funerals , public functions, etc., adhere to such ceremonial rituals as are recommended by the National or Department headquarters from time to time. Section 8. Duties of Sergeant-at-arms. The sergeant-at-arms shall preserve order at meetings and shall perform such other duties as may be assigned by the Post Executive Committee. Section 9. Duties of Committee Chairman. The committee chairman shall schedule such members as may be necessary to work at all approved Post functions. Section 10. Post members duties. It is each members duty to work when scheduled at the Post fund raisers or other functions. If a member cannot perform this duty, it shall be their responsibility to find another member to take their place and notify the appropriate committee chairman of the change. This is very important for the well being of everyone and the success of the Post events. Section 1. Delegates and alternates to a Department convention shall be elected by the Post members at the annual May meeting of the Post. Section 2. Delegates and alternates to the 10th District Spring Conference shall be elected at the February meeting of the Post. Section 3. Delegates and Alternates to the 10th District Fall Conference shall be elected at the August meeting of the Post. 4a. Each delegate attending the Department convention shall be reimbursed the sum of $100 upon completion of attendance at said convention and submitting a “Request for reimbursement “ form to the Finance Officer. 4b. Each delegate attending a 10th District said conference shall be reimbursed the sum of $75 upon completion of attendance at said conference and submitting a “Request for Reimbursement” form to-the Finance Officer. Section 1. 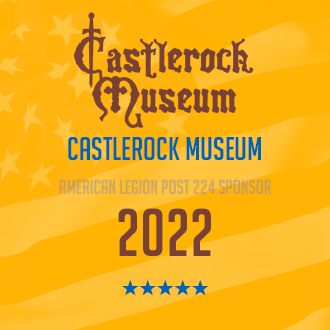 The Post commander, immediately upon taking office each year, may appoint the following standing committees: Americanism , Children and Youth , Economics , Finance, Graves Registration and Memorial , Entertainment , Legislative , Public Relations, Veterans Affairs and Rehabilitation National Security , Sons of the American and Visiting or VAVS. Such standing committees shall consist of such members and the chair thereof, as shall be designated by the Post commander. The duties of these committees are as stated in the American Legion Officers Guide and Manual of Ceremonies. Section 1. The regular meeting of the Post shall be held at the club rooms on the third Thursday of every month. The Executive Committee meets at 6:00 PM and the regular membership at 7 :00 PM. at which may be transacted such business as may properly be brought up for action. Such meetings may be converted into entertainment meetings , as may be deemed advisable by the officers of the Post. Section 3. Upon the written request of three members, the committee shall call a special meeting of the Post. Section 4. Five (5) members of the Executive Committee shall constitute a quorum. Section 5. Eight (8) Post members at a regular meeting shall constitute a quorum. Section 1. Every member shall furnish the Post adjutant with an address for mailing and a phone number. Section 2. The Post adjutant shall cause notice of the annual election to be given in the Post Newsletter. Section 1. All proceedings of the Post shall be conducted under and pursuant to Robert’s Rules of Order, except as herein otherwise provided. Section 1. The Post shall incur, or cause to be incurred, no liability nor obligation whatever which shall subject to liability any other Post, subdivision, members of The American Legion, or other individual, corporations or organizations. Section 1. These By-Laws may be amended at any regular Post meet ing by a vote of two thirds of the members of said Post attending such regular meeting: Provided that the proposed amendment shall have been submitted in writing and read at the pre ceding regular meeting of said Post: and, Provided Further, that written notice shall have been given to all members in the Post newsletter preceding the date when such amendment is to be voted upon, notifying said members that at such meeting a proposal to amend the By-Laws is to be voted upon. Section 1. 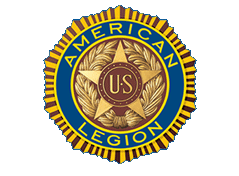 “The American Legion Officers Guide and Manual of Ceremonies " shall be us ed as a final reference in all matter of dispute or disagreement arising herein.